SILMO wishes you all the best! 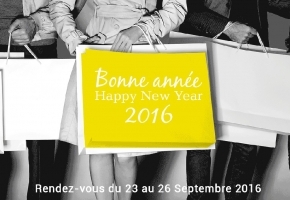 The whole SILMO team wishes you a happy new year 2016. May it be filled with creativity and business! Mark your calendars in 2016. We hope to see you from September 23 to 26 in Paris Nord Villepinte for SILMO Paris and in December in Istanbul for SILMO ISTANBUL.